Today I found this heart in a parking lot...it was trampled on, ripped, scarred, torn, abused, ran over, stepped on & left abandoned~ it was clearly a message just laying there for me... I couldn't resist picking up this broken heart. 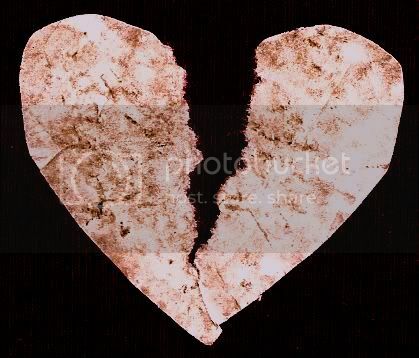 Oh, how I can relate to this heart right now.